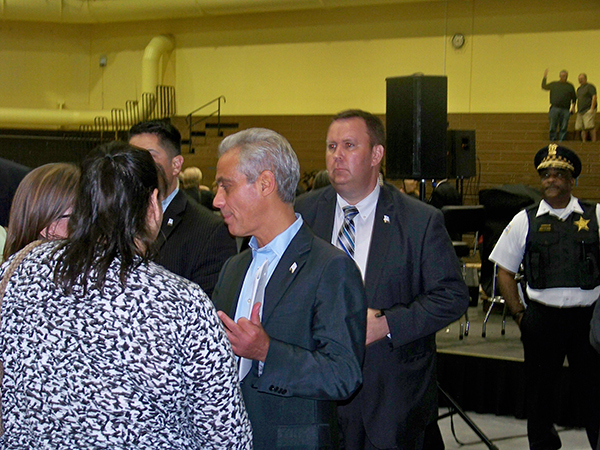 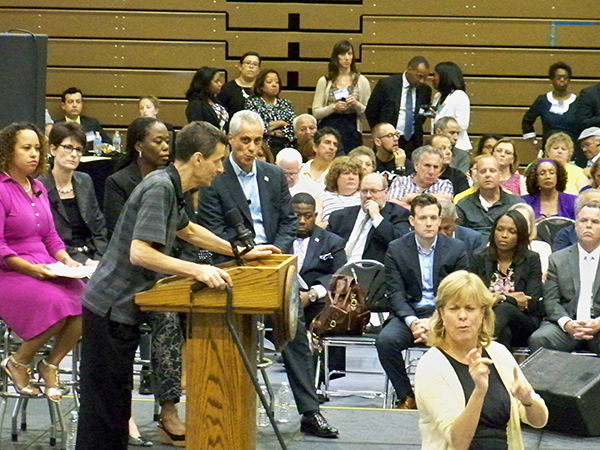 Hundreds of people attended the final town hall meeting on the city budget held by Mayor Rahm Emanuel Thursday, Sept. 3, at Wright College, 4300 N. Narragansett Ave. 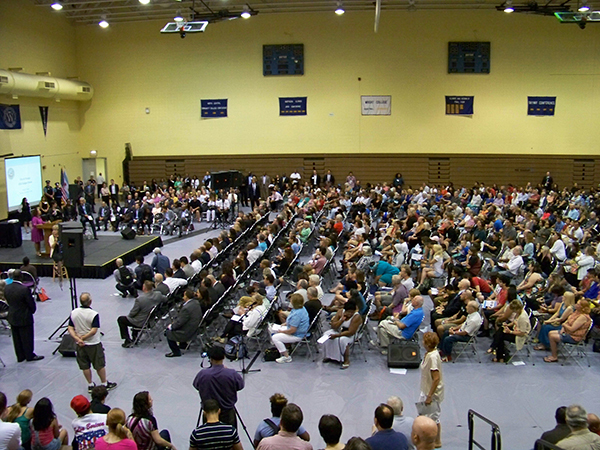 The public forum was designed to give city residents a chance to offer ideas about how to balance the budget for next year. 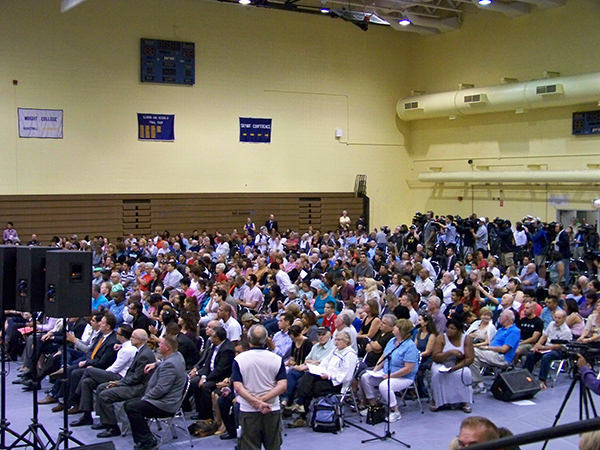 Instead, residents grieved and complained about various issues ranging from the possible closing of Dyett High School, airplane noise at O’Hare International Airport, red lights in the 38th Ward, bicycle lanes, lack of manufacturing jobs, misspending of city funds, lack of services, funding for schools and special education and about a $500 million property tax hike that Emanuel is likely to propose in his budget address on Sept. 22.